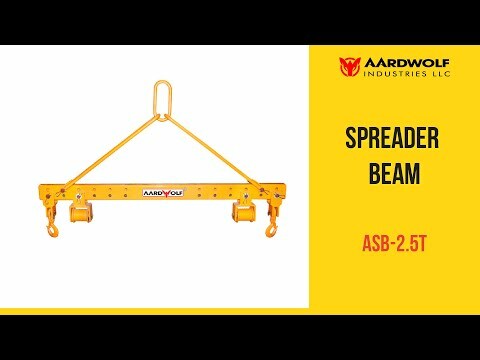 The spreader bar, in combination with endless slings, is an invaluable piece of equipment where stone is required to be rolled over. 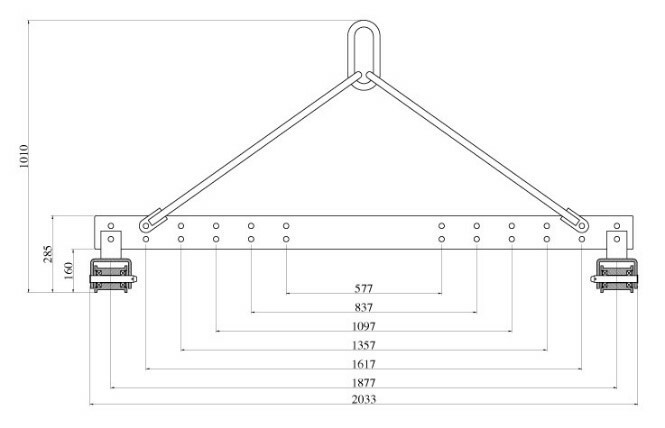 Slings are suspended on crowned aluminium rollers. This makes turning of the load in the sling easier. Rollers will handle up to 90mm wide slings. 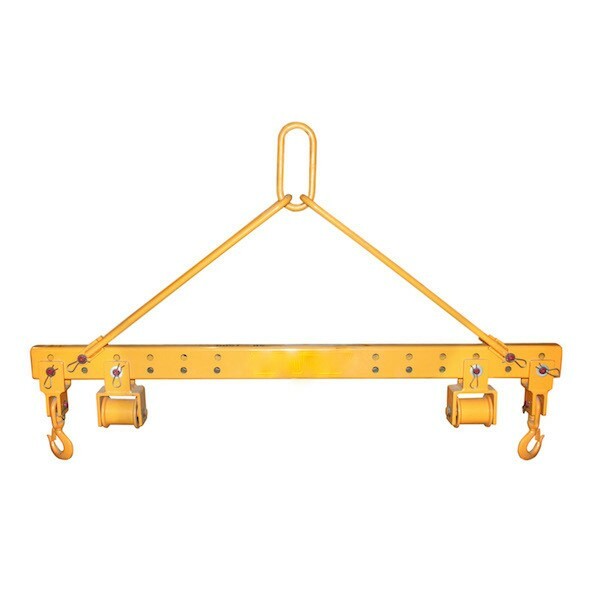 Swivel hooks can be used in place of rollers. Overall width 1620mm.